But it’s not – your employer then makes you an enticing offer to make you reconsider your resignation, leaving you in a quandary. Do you stay or do you go? It’s important to weigh up the new internal offer as thoroughly as you do the external option. Which makes the best use of your skills and will develop your career in the direction you’d like to take it? How do you feel about each businesses and your direct managers in each? 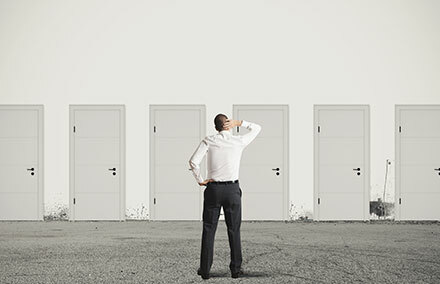 Which offers the best financial reward in conjunction with the other opportunities on offer? While there is no ‘one size fits all’ answer for the tricky subject of the employment counter-offer, we at Michael Page have been witness to many different versions over the years. 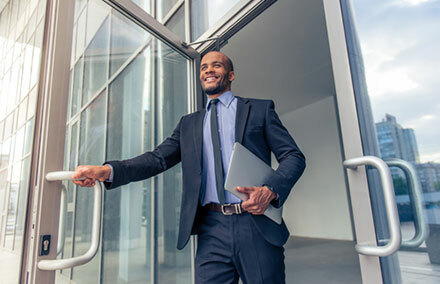 Here are our points to consider when you’re presented with a new job offer, and your current employer is keen for you to stay. If you’re worth your increased salary and responsibilities, why wasn’t this recognised before you handed in your notice? Part of your frustration from the outset may be that you’re undervalued, and if it takes your resignation for this to be noticed you may be better off with an organisation that is more proactive in helping you fulfil your career ambitions. A counter-offer may not just be about a pay rise, it could aim to address other key motivators like level of responsibly or work/life balance. Unless salary was the sole purpose for looking at new opportunities, counter-offers are rarely the answer. In our experience, most people who accept them find themselves looking for a new job a few months later, when the situation that caused them to explore the market, remains unresolved. Once your employer knows that you’ve been interviewing elsewhere, you demonstrate that you have the potential to be disloyal to the company. You may no longer be seen as a team player, and could potentially be first out the door if there is an internal reorganisation. If you do accept a counter-offer that results in a substantial increase in salary, you may end up being overpaid compared to the market rate for your level of experience. This could make an external move in the future challenging, as your remuneration won’t accurately reflect your value in the market. Working at an organisation for a good period of time means you’ve built up equity, whether it’s the relationships you’ve developed or your service record. Most people make the most dramatic improvements to their career progression, immediate and long-term earning potential by making an external move, but that doesn’t mean that the most positive move for you is necessarily one outside your company. If the deal offered by your existing organisation changes, it deserves fair consideration at least. If you decide not to stick with your current employer, use it as an opportunity to thank them for the offer and reiterate that while you enjoyed your time with the organisation, you remain firm in your decision to leave. There’s little point at this stage in burning bridges by listing everything you felt was wrong with the organisation and your role. You never know when you’ll encounter your old manager again. The counter offer situation can be a tricky one to handle and will take some careful consideration. When deciding whether the offer is acceptable you can use our new Salary Comparison Tool to be sure that the salary on the table is a fair one. You can view average salaries by job title, industry and region. If you are unsure you can always speak to your Michael Page consultant for more advice on how to proceed.